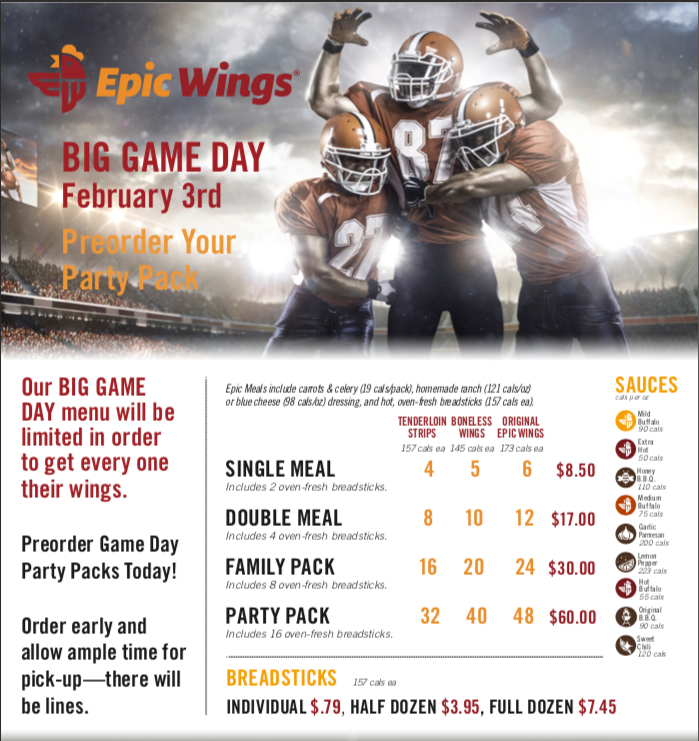 Game Day Menu for Sunday, February 3! Order from our Big Game Day menu and be the MVP of your tailgating party. *Please note that select stores will have a limited menu on February 3, 2019.